Just recently I was contacted by a poet named Sudeep Adhikari, who wondered if I would like to publish a couple of his poems on The Hazel Tree. Sudeep lives in Kathmandu, Nepal. The first poem he has offered me was inspired by a grove of 16 ancient olive trees in Bechealeh, Lebanon, known as ‘the Sisters’ or ‘Olive Trees of Noah’. I had never even heard of these trees before, and was fascinated to see some photographs of them. Sudeep’s words seem to offer a glimpse of their divine essence, evoking their mystery and their almost unfathomable age. The Sisters – Olive Trees of Noah?? All I have is love and mad reverence, sisters. life, an uncountable sacred integer. a rapture in every ordinary experience. Buddhas are abundant. About Sudeep: Sudeep considers poetry to be an impersonal act, largely deriving its content from unconscious psychic undergrounds. He has a PhD in Structural Engineering and is currently working in Nepal as a structural consultant/part-time lecturer. His works have been featured in Verse-Virtual, Arlington Literary Journal, Zombie Logic Review, DEAD SNAKES, UFO Gigolo, Literary Yard, The Peregrine Muse, Soul-Lit Magazine, Misfit, Oddball, Novelmasters, Kyoto, Tuck Magazine, Dissident Voice, Duane’s PoeTree, Scarlet Leaf Review and RedFez. He is awaiting some more publications with Open Mouse, After the Pause, Manhattan Linear, Snakeskin, Poetry-Pacific, Your One Phone Call and Pinyon Review in 2016. His poetry generally revolves around the theme of seamless continuity between human-psyche and nature, and shows an overarching affinity for the non-philosophy of unity, multiplicity, indivisibility and nothingness. The governing aesthetics draws its inspiration from science, mathematics, religion, philosophy, psychology, sound-art, fractals, trees, noise and everything beyond and beneath. About ‘The Sisters’: Growing at an altitude of 4,260 feet (1,300 metres) in the Lebanese village of Bechealeh, these trees are believed to be at least 5,000 years old. In folklore, they are said to have taken root from the olive branch borne by the dove that was sent out from Noah’s Ark. Amazingly, they still produce olives which are harvested for fine quality olive oil. My thanks to Lebanon Untravelled for allowing me to use these photos of the trees from their website. The tortured shapes of olive trees are unbelievably beautiful. An olive tree in a pot was given to us as a housewarming present nearly 10 years ago. It has been re-potted into a bigger container, but still looks as smooth as a baby’s bottom. I doubt even my grandchildren will see much difference when they are great-grand-parents. I wonder why they make such beautiful shapes and patterns, Viv. Their lifespan seems to be on such an incomprehensible scale. But what a lovely gift, and one to cherish for generations! Trees do their thinking on a much slower timeline than ours. There is a beautiful sensitivity in this poem. Thanks for the introduction, Jo. I will look forward to more of Mr. Adhikari’s work. I do agree, Pat – his words seem to be pushing beyond boundaries that we can barely see. Trees have such age-old wisdom. Thanks a lot Pat, Jo ! Such a pleasure to be among the kindred souls. Jo, I am glad that you agreed to share this thoughtful and thought-provoking poetry. Whilst I am – regretfully – tone-deaf to the music of mathematics which hums through this poem, my heart sings with the reverence and wonder at these ancient beings which infuses the words. It’s wonderful (literally) to know that there are people throughout the world who appreciate trees! I feel blessed every day to live surrounded by the trees on our land. The olives celebrated in this poem sound like ancient sybils. How intriguing, the idea that poetry might be ‘an impersonal act, largely deriving its content from unconscious psychic undergrounds.’ I’ve been doing some workshops over the past year on the Jungian interpretation of dreams, and it does seem to me that there is something in the idea of poetry drawing on the collective subconscious, although I had never thought of it before. Fascinating. That is a fascinating point, and I don’t see why we shouldn’t be inspired by a collective subconscious; after all, trees and the entirety of nature are inter-connected, and we are a part of that. I love the deep sense of wonder that Sudeep conveys through his words. I’m glad you appreciated this – thank you! “Olive tree have survived through times and life challenges like ‘ the sisters’, for example! 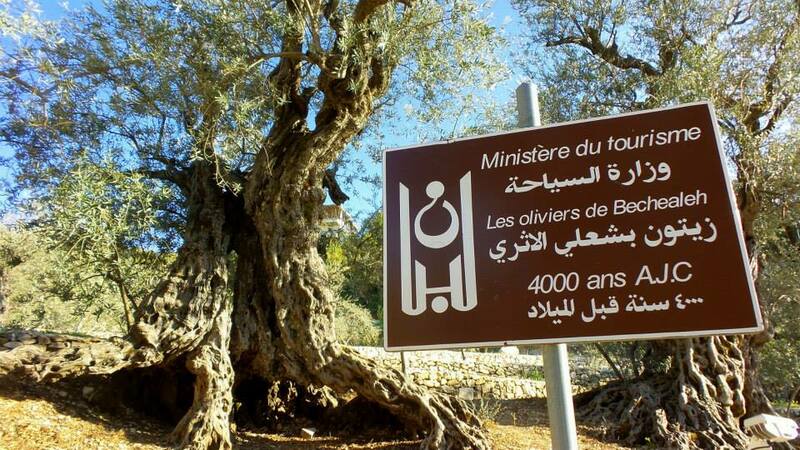 the oldest 16 olives trees named by “the sisters of Noah” found in Lebanon have witnessed 6000 years or more of political unrest, diseases, climate changes and generations, hence still producing, by doing so it inspires us to never give up. Giving us hope and strength to strive forward, knowing one day this land will blossom again like the sisters did”. Most welcome, Hanaa, and I am sure that Sudeep will be delighted to know that his words have inspired you. Your words are so true – we should look at these amazing trees as an example, not just for survival but for the principles of our existence on this planet. We can all tap into that wisdom. Thank you for sharing your thoughts, and wishing you every success with your studies!